Take Your Taste to Gilligan’s!  For the past two decades, we’ve worked hard to build our reputation as fine family restaurants by serving the freshest seafood and other ingredients available in a family-friendly, casual atmosphere. From our fresh seafood to special children’s meals and a warm, welcoming staff, our goal is to provide you with an unforgettable dining experience. Thank you for being a part of the Gilligan’s family! We have history in the lowcountry and we continually evaluate our menu to ensure we are not only offering our customers their favorite seafood dishes, but a variety of other dishes to delight the entire family. What are you going to try at your next visit? Did you fall in love with Gilligan’s hushpuppies or forget to buy a new t-shirt or hat the last time you at with us. Don’t worry you can purchase these items through our online shop! We will be happy to ship it to you!